A native of Los Angeles, Jovel has numerous years experience performing with a variety of Southern California orchestra and Latin artists. He received a Bachelor’s in Music Performance and Master’s of Music from CSUN and UCLA, respectively. 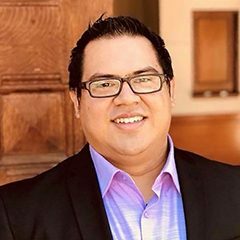 While earning his doctorate, Jovel currently serves a professor of trumpet at The Masters University and Loyola Marymount University and is a trumpet teaching artist for the Youth Orchestra Los Angeles.